Medical history with preexisting conditions not requested but excellent otherwise! Thank you! Excellent doctor but I don't agree with her charging me a cancellation fee when I had an emergency at work and called one hour before to ask to move the appointment. I received a complete explanation of what was going on and for the change of prescription. I was very pleased with my appointment. Excellent all the way! Good experience from the first appointment, with a very detailed explanation of the surgery itself and the risks. The clinic is very good too. Modern clean and all the staff were amazing. Surgery went well and the Doctor was 100% available almost 24/7 post-surgery to answer my questions. I would definitely recommend Dr Azan to anyone who wants to have their eyes treated! Dr Elodie Azan MD (Paris) moved to London in early 2010 and held posts at Imperial College Healthcare NHS Trust Western Eye and Charing Cross Hospitals. She sees her private patients here at The Medical Chambers Kensington and specialises in cataract surgery and medical ophthalmology. 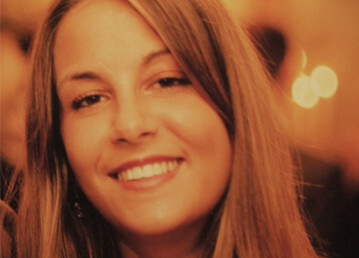 Elodie studied in Paris and, after graduating, specialised in anterior segment surgery and was then invited to become a "Chef De Clinique" (Consultant) at the internationally renowned Rothschild Ophthalmic Foundation in Paris, in their highly regarded Refractive and Anterior Surgery Department. Dr Azan has carried out more than 3,500 laser refractive and cataract surgeries over the last 5 years. Everything was great. Best private clinic in London. Only one recommendation: Install air conditioning for these hot summers. Patients will appreciate and Docs will perform even better. All perfect from A to Z. Many thanks.